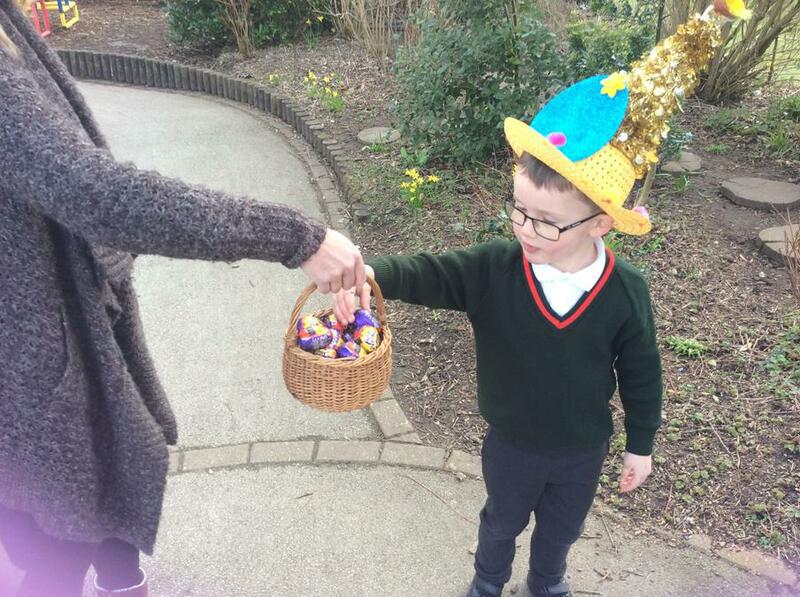 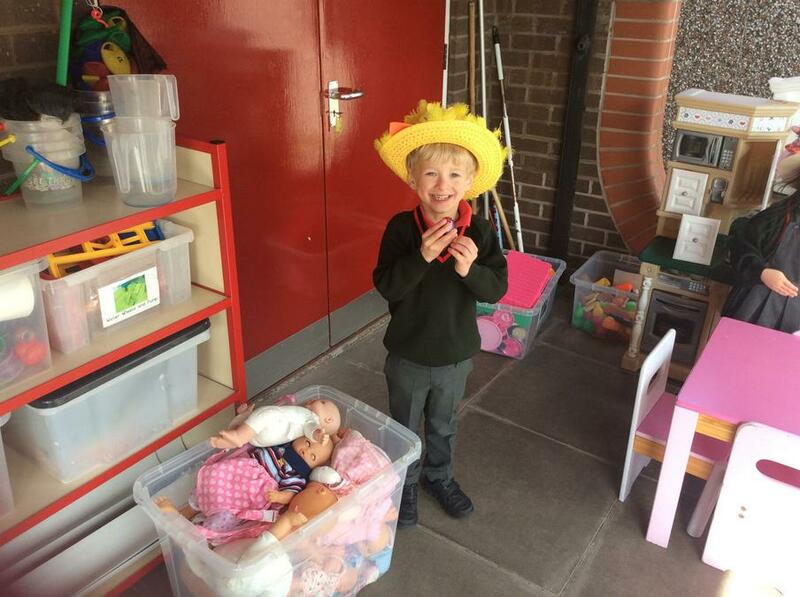 Today the Reception children have enjoyed talking part in our Easter Bonnett Parade, followed by the exciting discovery that the Easter Bunny had been to visit us! 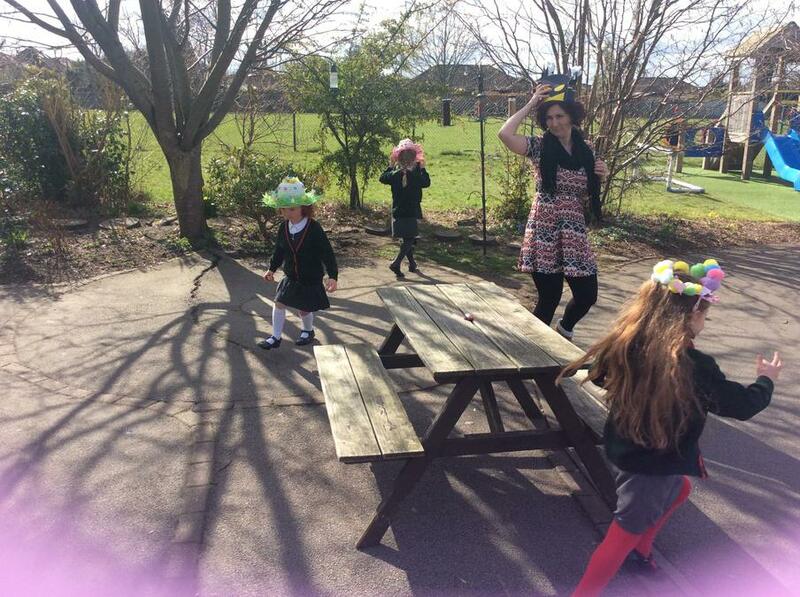 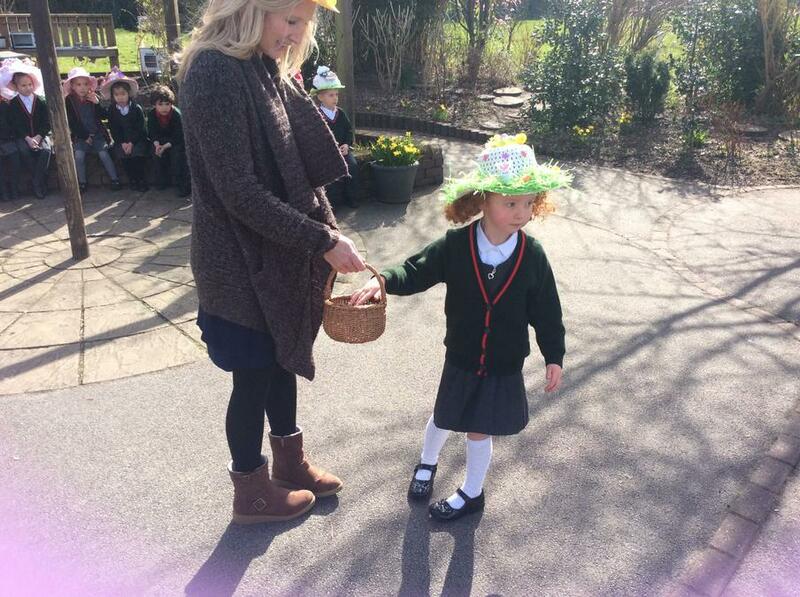 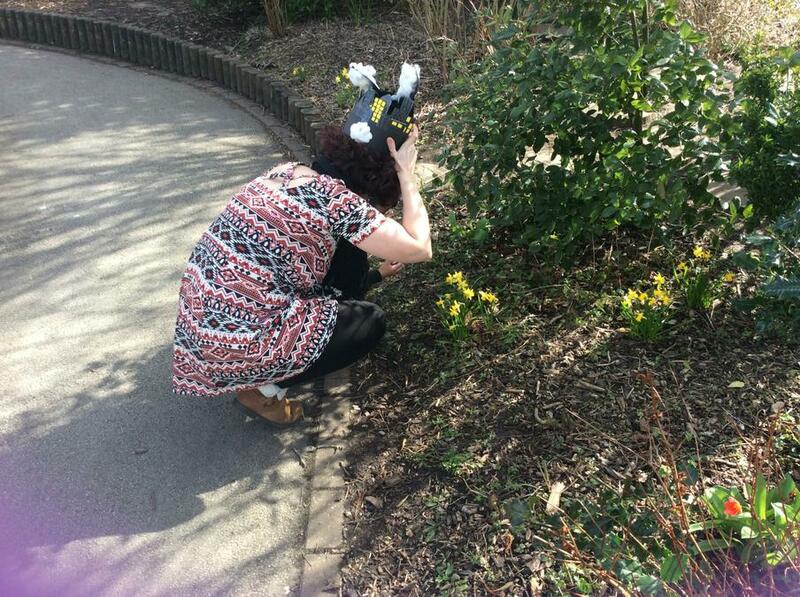 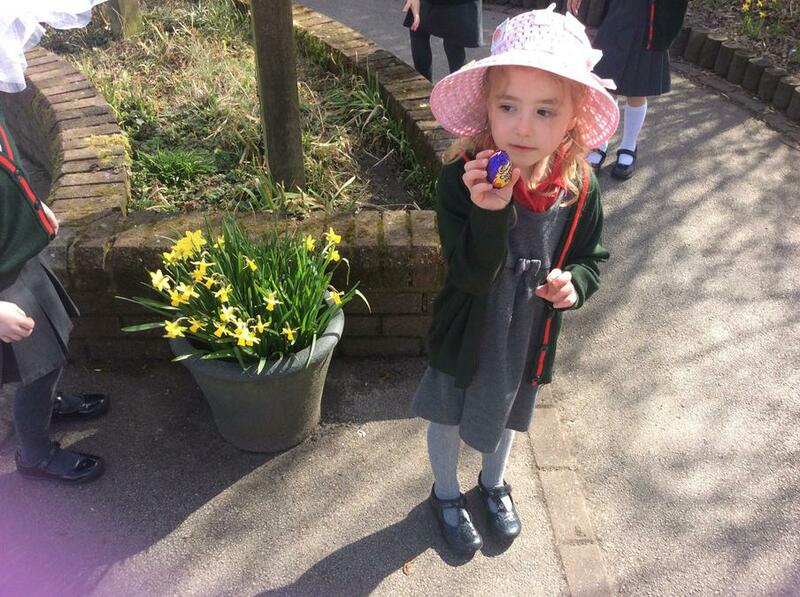 We were lucky enough to find an egg for each of the children. 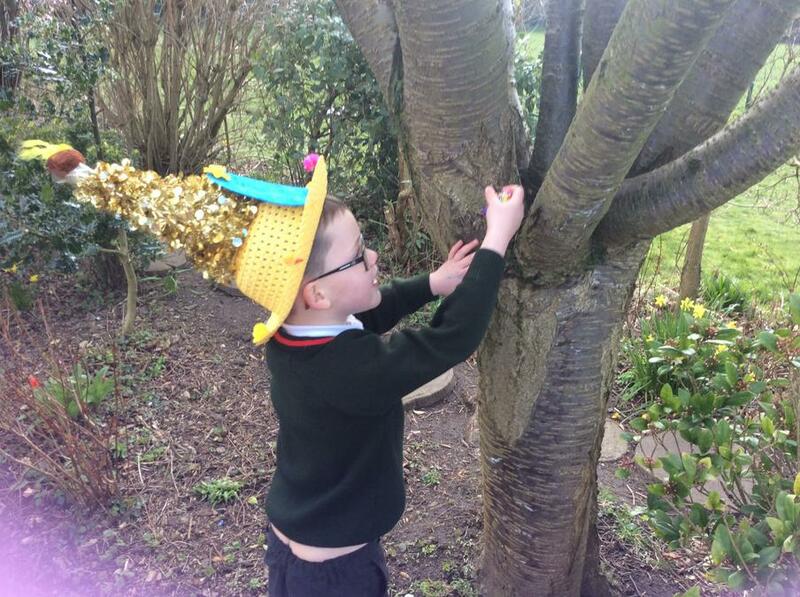 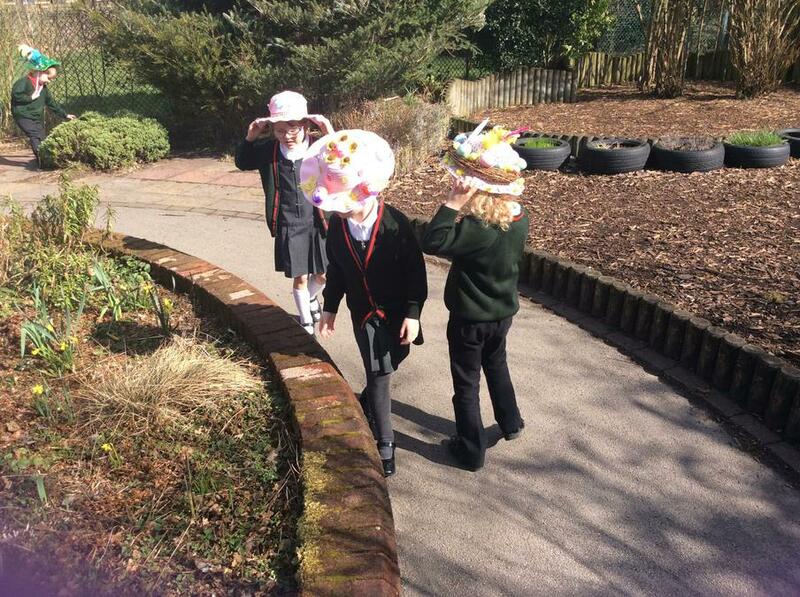 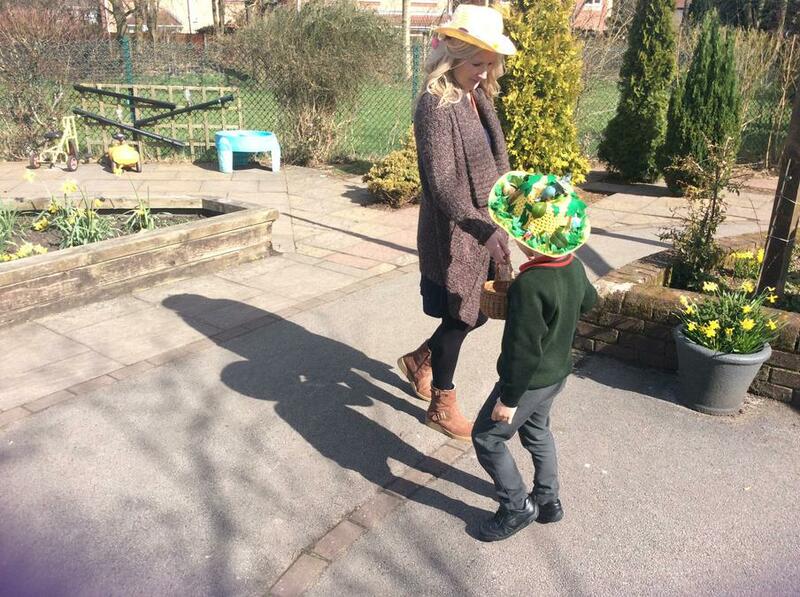 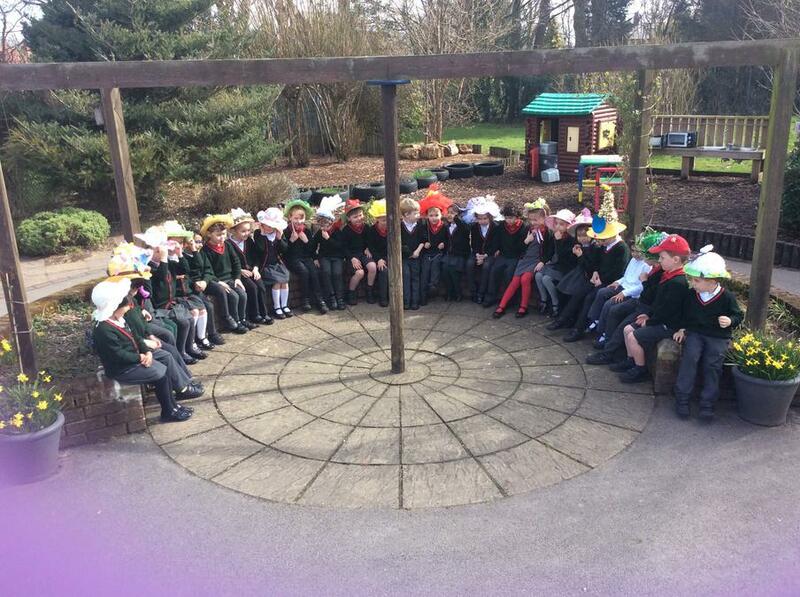 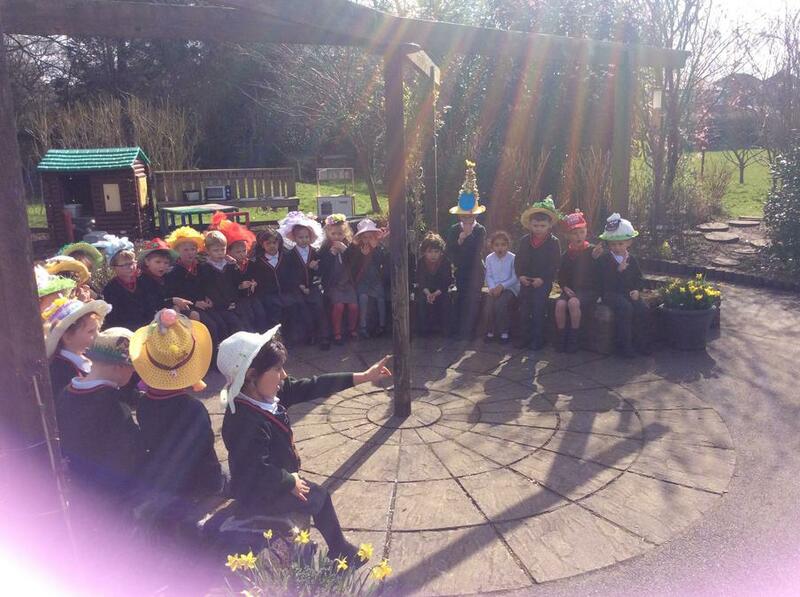 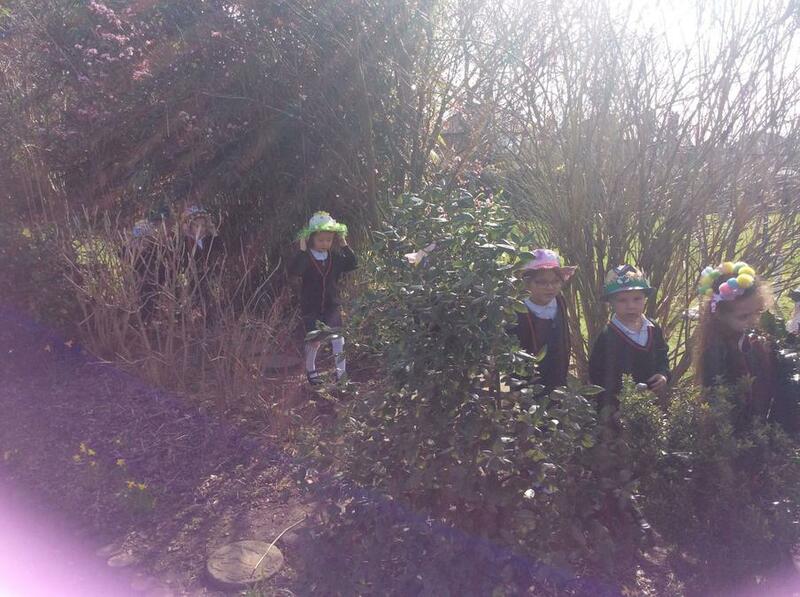 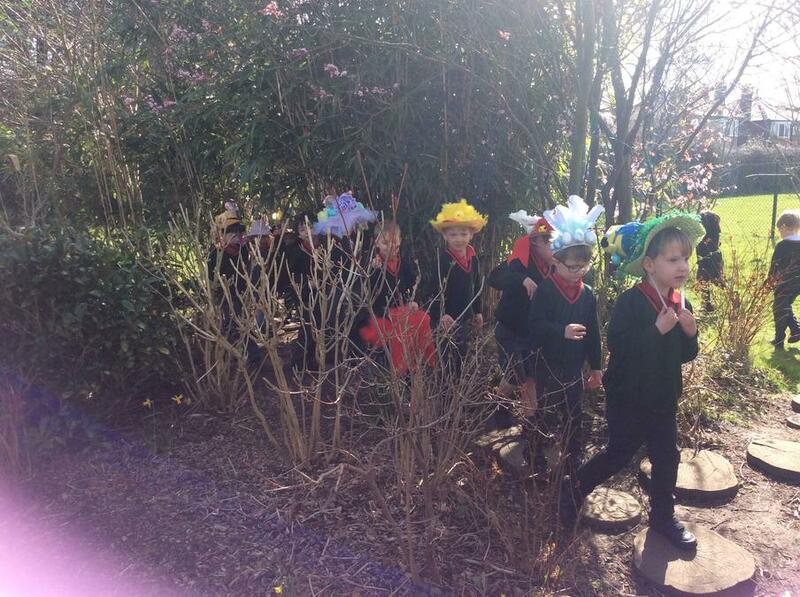 As the seasons begin to change, the children in reception went on a walk around the school garden looking for signs of Spring. 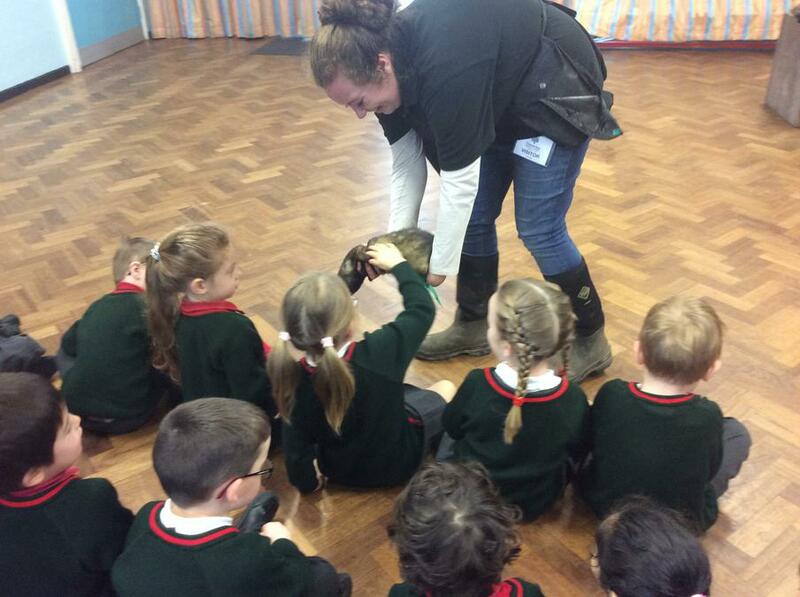 We visited our wildlife area and were even lucky enough to catch a glimpse of a frog in the pond. 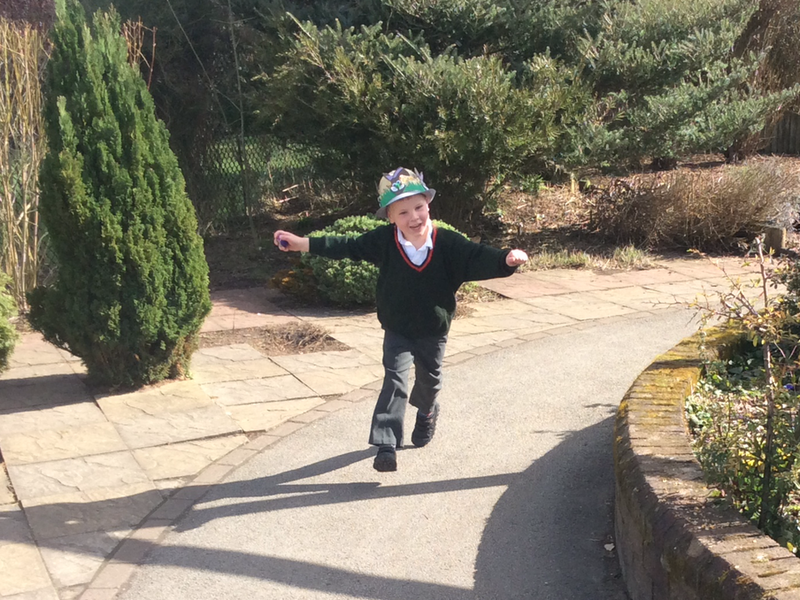 We are hoping that the warmer weather might bring some tadpoles. 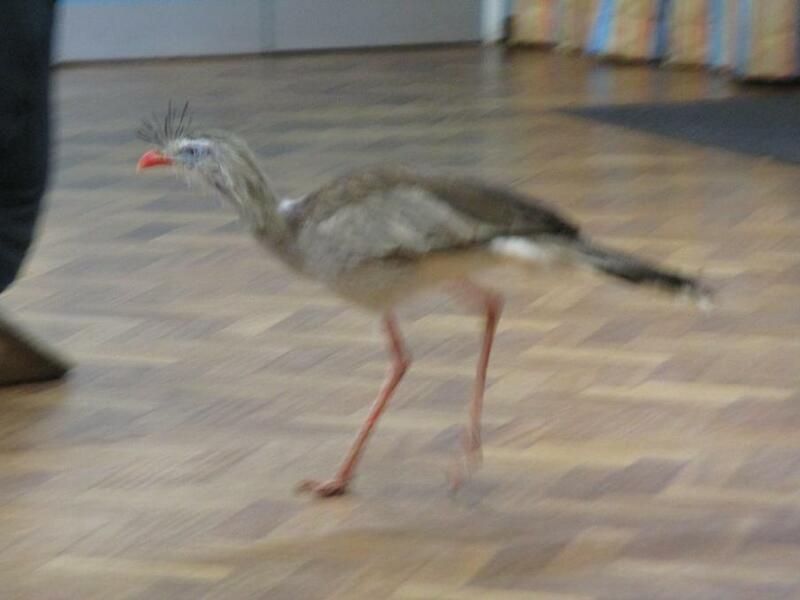 Today the reception children used the large apparatus in the school hall to practice their gross motor skills. 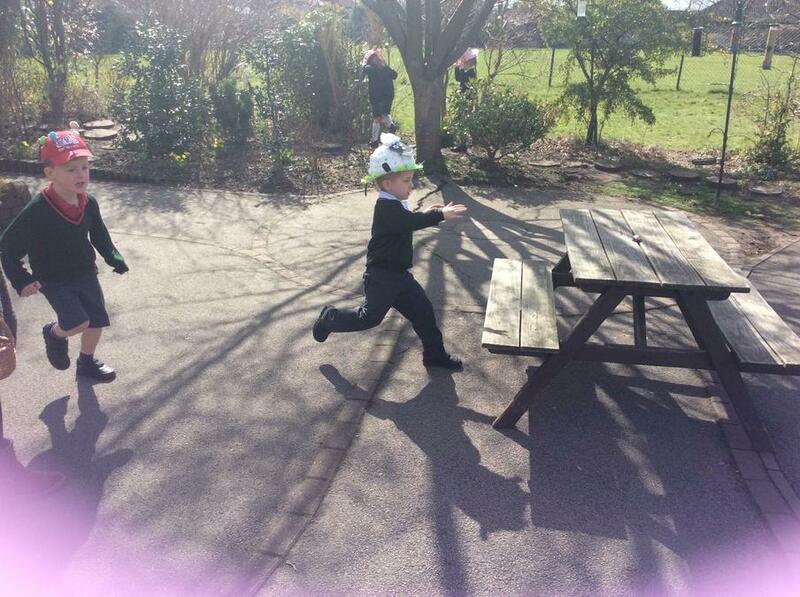 They used the apparatus for balancing, climbing and jumping. 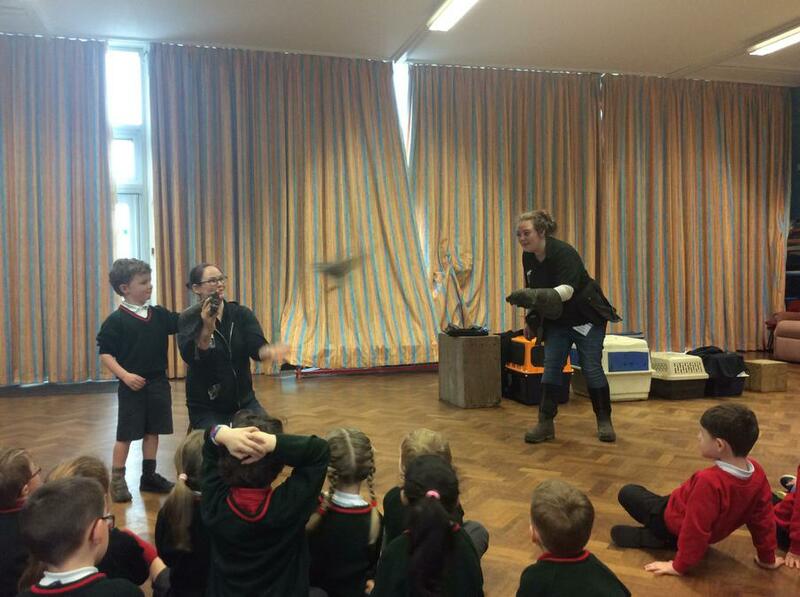 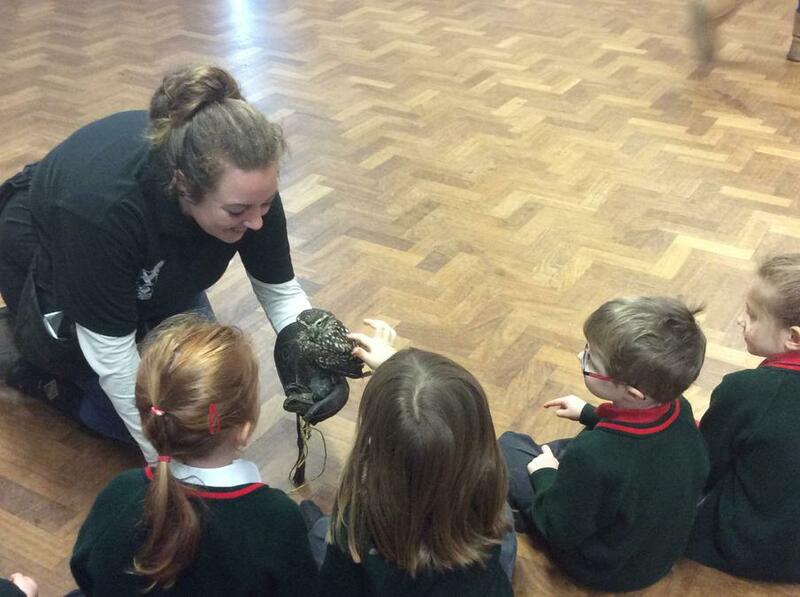 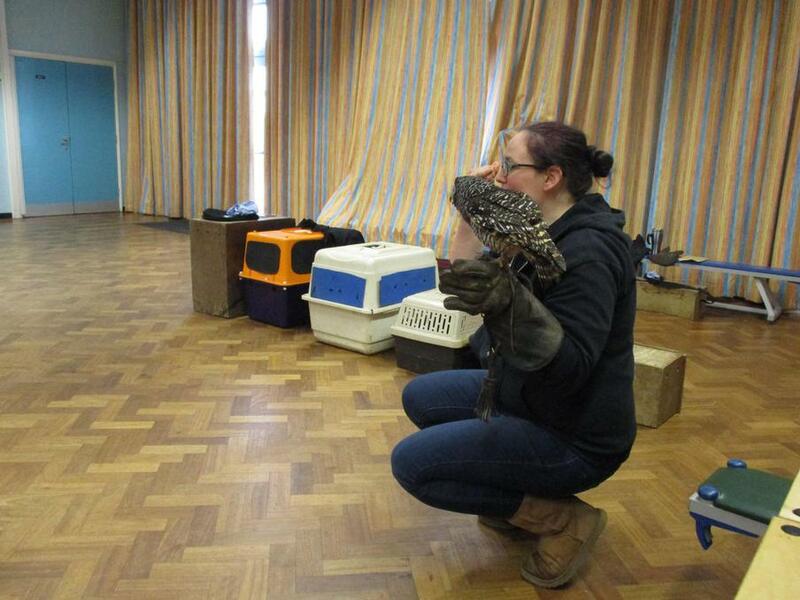 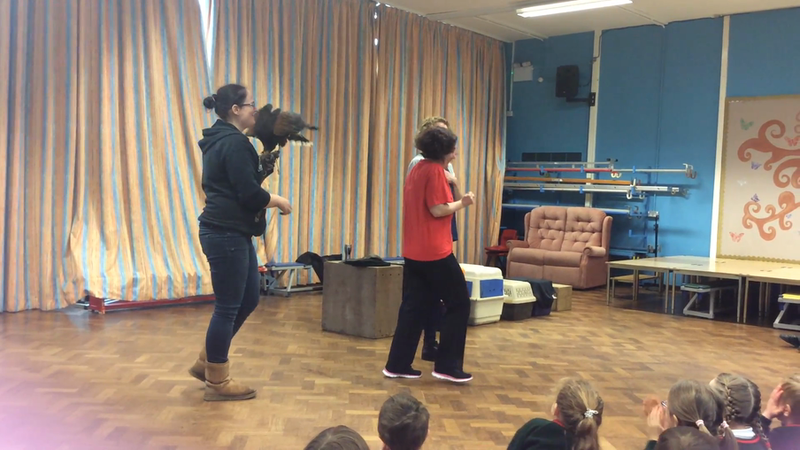 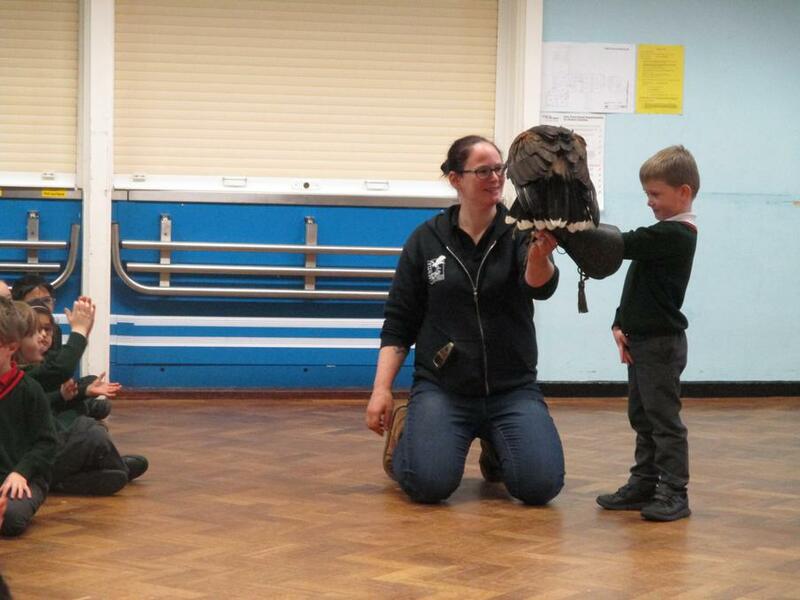 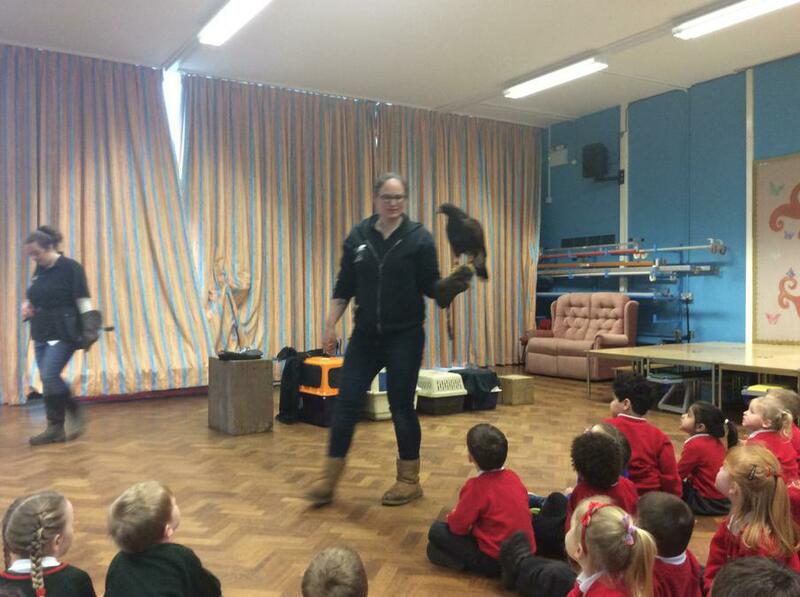 Today the children in Nursery and Reception had a visit from Sally and Shelly from Gauntlet Birds of Prey. 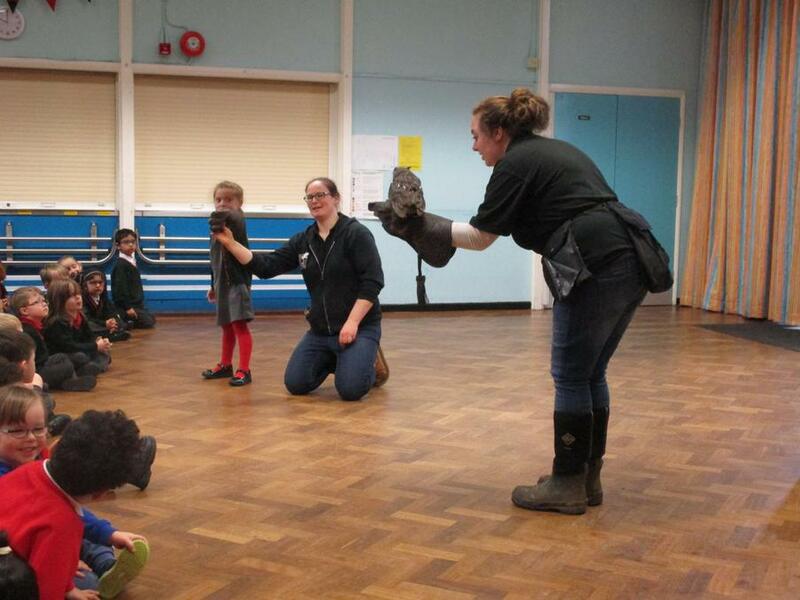 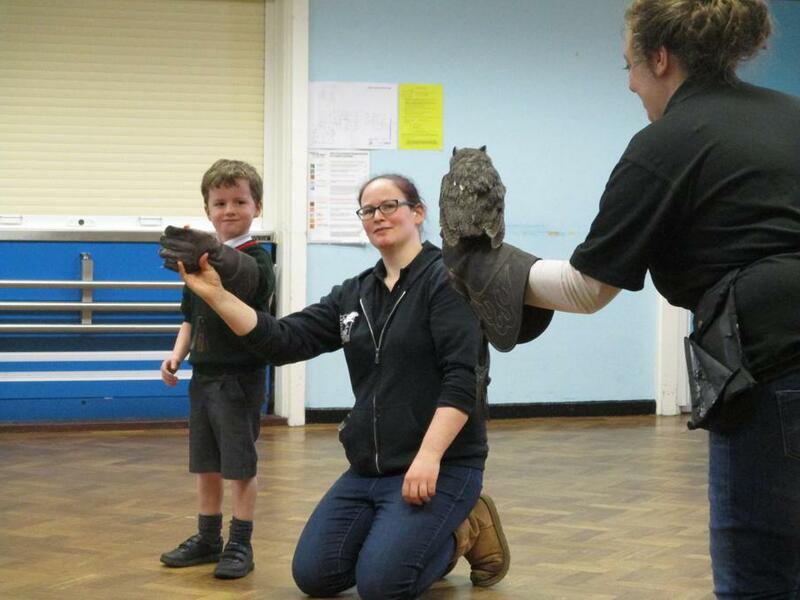 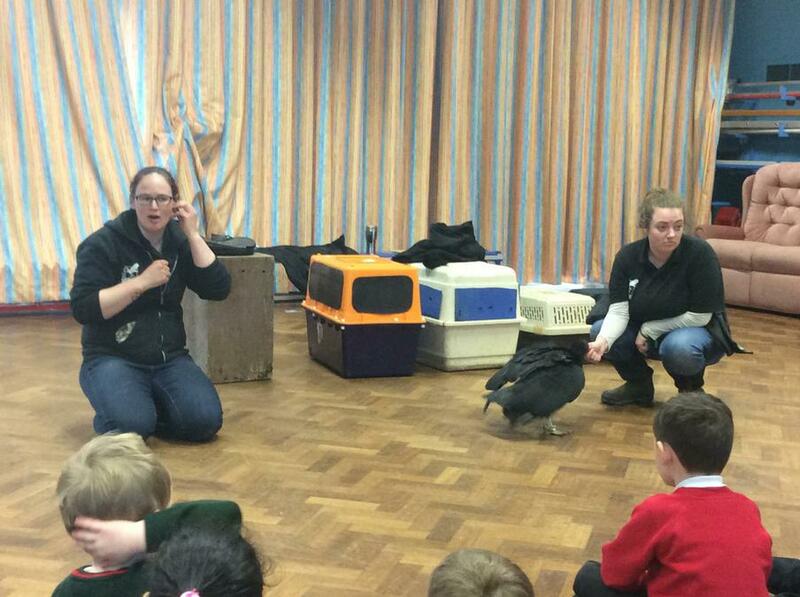 The children were lucky enough to meet Yoda the Little Owl, Ollie the Chaco Owl, Spike the Red Legged Seriema, Humphrey the African Owl, Boona the Black Vulture, Diago the ferret and Beth the Harris Hawk. 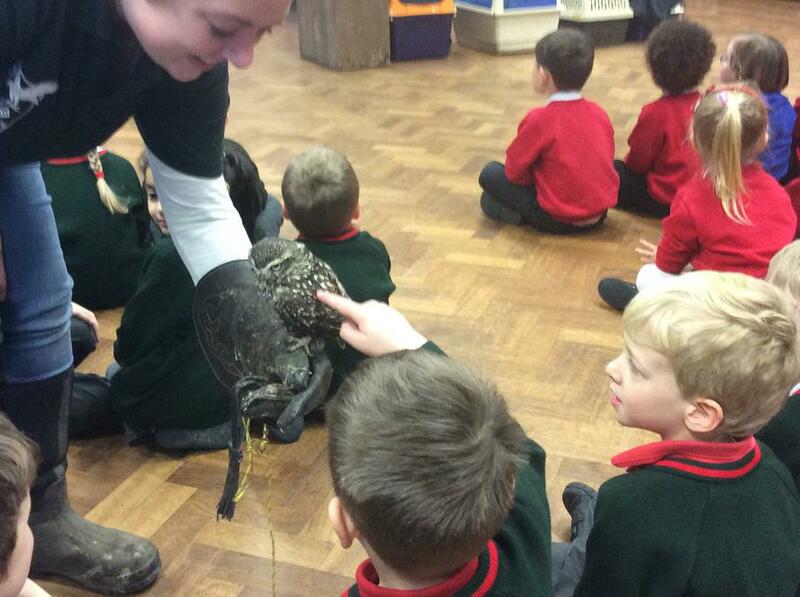 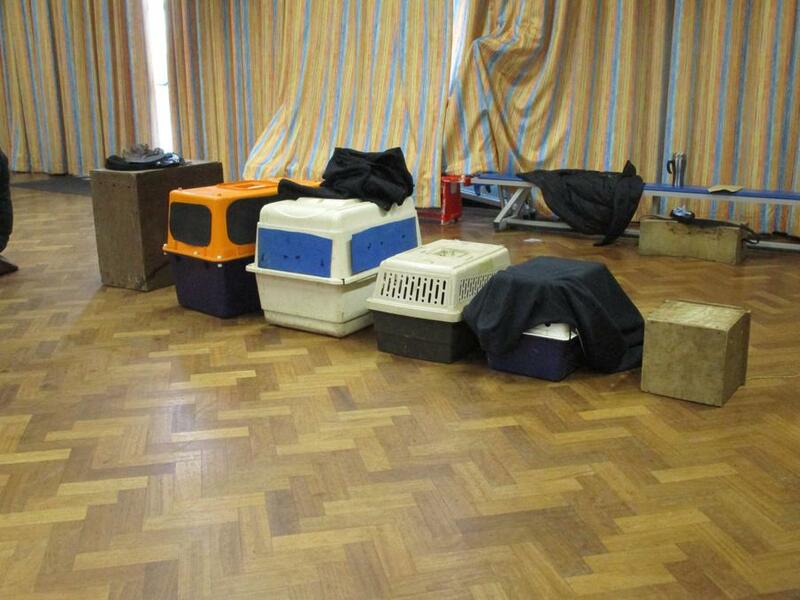 The children had the opportunity to stroke the animals and were even lucky enough to fly some of the birds.